It's really not that funny. Pennywise from the new "It" movie. Clowns: you either love them or you're terrified of them, and thanks to a new horror movie, more people are realizing that they can't bear to look at them. Unfortunately, this is causing people who make a living dressing up as clowns to lose work. As reported by the Hollywood Reporter, the new "It" movie, which comes out Sept. 8 in North America, has sparked an up-tick in clown phobia. Pam Moody, president of the World Clown Association, told the news outlet that the organization is preparing people who work as professional clowns for anti-clown sentiment. "Last year [when there were "evil clown" sightings in the U.S. and the premiere of "American Horror Story: Freakshow"] we were really blindsided. We've since created a press kit to prepare clowns for the movie coming out." Last year we were really blindsided. Thanks to "scary clowns" in pop culture, the clown industry has taken a hit. "People had school shows and library shows that were canceled," Moody told the Hollywood Reporter. "That's very unfortunate. The very public we're trying to deliver positive and important messages to aren't getting them." She also takes issue with the evil clown in It, saying the character of Pennywise is nothing like the friendly, bubbly clowns we know from circuses, birthdays, fairs, and school events. "It all started with the original It," she explained. "That introduced the concept of this character. [Pennywise] is a science-fiction character. It's not a clown and has nothing to do with pro clowning." But "It" author Stephen King doesn't want to take any of the blame for children (and adults) being scared of clowns. In April, he tweeted, "The clowns are pissed at me. Sorry, most are great. BUT...kids have always been scared of clowns. Don't kill the messengers for the message." But we have to admit, the promotion for the new "It" movie does leave us feeling a little bit scared of the red-nosed, curly haired creatures. If you are afraid of clowns, you are far from the only one. It is estimated that 12 per cent of American adults have a phobia of clowns and the fear is so prevalent it even has a scientific name: coulrophobia. The fear is so prevalent it even has a scientific name: coulrophobia. 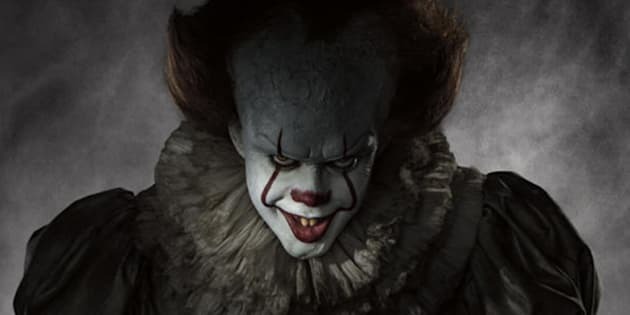 And although movies such as "It" don't help our fear of clowns (according to NoBullying.com, coulrophobia cases seemed to increase following the release of these types of movies), there are other reasons why people develop this fear, including being exposed to unfamiliar faces in our childhood. But, as we know, not all clowns are like Pennywise. Aside from the clowns we encounter at our kids' birthday parties, there are also therapeutic clowns who can help speed up healing times on children with respiratory illnesses.